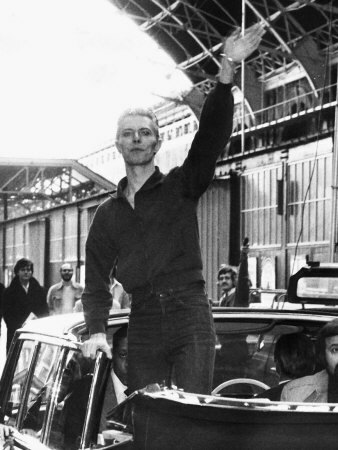 This entry was posted on Thursday, December 23rd, 2010 at 11:21 am and is filed under Station To Station: 1976. You can follow any responses to this entry through the RSS 2.0 feed. Both comments and pings are currently closed. Fantastic post! Though I think you should pursue this Melkur idea. After all he threw dart in lovers’ eyes too. The lyrics at first appeared like a scribbled note ,brief and random but with more investigation of the things mentioned reveal a detached and lonely person almost lost in magic and drugs. Congrats on a fantastic peice , you should publish in a book !! 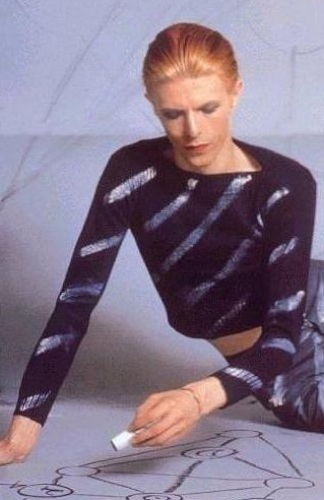 Bowie’s finest though his tortured soul was lucky to return so many of his fellow dabblers did not. hers an article that is fascinating for those who are intersted in some of the philosophy involved in some of bowies work..
It’s 2 AM on Christmas morning and I’m lying in bed, listening to Station to Station on repeat. The song is so powerful, so intense, switching between hope and despair at whim. After nothing but christmas carols for days, this seems to be the perfect antidote. Pure, human desperation. Thank you very much for this illuminating post. The Eagles’ ‘Hotel California’ is spiritually akin to this song. Both are overlooking the ocean, both have travelled as far west as land allows. California serves as a geographic and spiritual terminus. There are occult dalliances in both songs. The western dream reveals its emptiness. It was a magician’s spell all along. At least Bowie could retreat to his Old World roots. Whereas the Eagles lacked that recourse and sort of dissipated. Insightful and beautifully written, as always. As someone who started reading about Bowie from A-4 photocopied unofficial fanclub newsletters in the seventies, I wonder if anybody else shares my opinion that this has become the finest collection of writing on Bowie available in the public domain. Station to Station certainly seems to make a strong case for necessity being a more legitimate parent to invention and creativity than cocaine. Since Golden Years was written in advance and Stay is pretty much an extended band workout, Bowie has only come up with two original songs for this LP besides the title track. 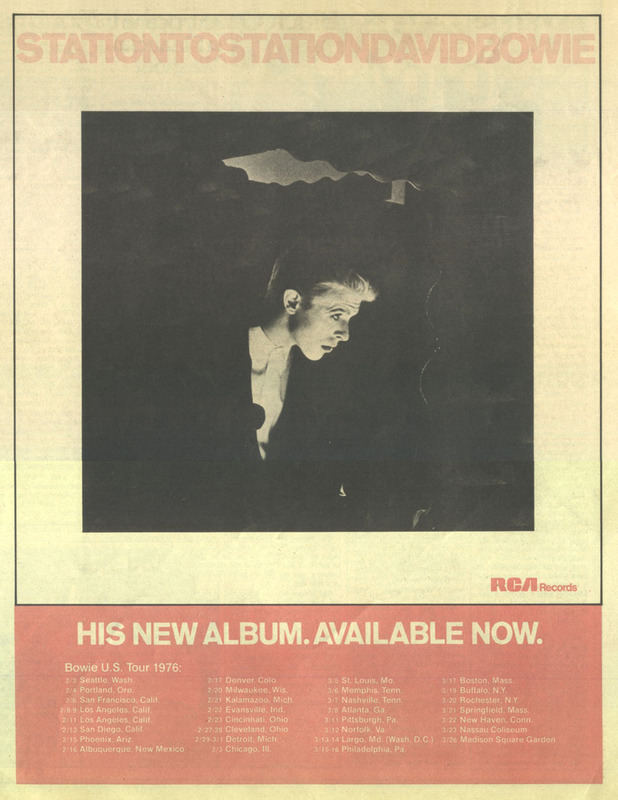 This suggests that Bowie wasn’t finding it easy to come up with new material and that the song Station to Station -one of the finest things he, thus by definition anybody, has ever recorded – is probably a welding together of various ideas that might not have even made it to the recording stage in easier times. In addition to the cocaine-fueled madness of the conventional narrative, Bowie was also a man whose business and financial affairs were in a mess and who was under great pressure to come up with a follow-up to his hit Fame. A good comment by Whitebait – Earl Slick rarely gets the credit his contributions deserve. Re-reading the magnificent Station to Station post in April 2014, I have to agree: this is the best writing about Bowie online and some of the most inspiring music writing period. Looking forward to buying the book! Brendan, I don’t believe I had read your post before today, when it came to my attention via Anonymous’s reply, but like Anonymous I can only second your estimation of Chris. It long ago became impossible for me to comment on his work without embarassing myself and, I have to imagine, him. As research on Bowie, as insight into his art and as writing about him, O’Leary’s work is peerless (sorry, Chris). I have noted the same thing here several times–this is the best critical writing on Bowie to date and should absolutely be a book. Welcome! As Brendan O’Leary pointed out-The truth of the matter seemed much more with all the drugs n pressures,Bowie was really struggling as a songwriter.The ecstatic release of the final 2 melodic parts here (lyrically too) seem like a brief moment of joy that he could still make the music fly like he used to.. .
His new musical Gods were sound and rythm-and with that new focus his melodic talent naturally started to wither.. Tho there’s still plenty of pleasures to be had in his later 70s stuff-for me they’re smaller,less timeless pleasures..He’d never again be able to scale the dizzying strange melodic heights of Life On Mars,Space Oddity or Lady Grinning Soul. 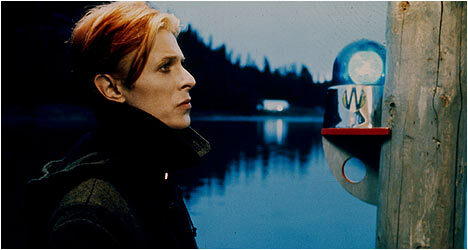 Ashes To Ashes was the final beautiful ‘goodbye’ to his God-like musical muse.. Within a few years he’d be producing mediocre dreck like Blue Jean-that his younger self wouldn’t’ve even considered. Wasn’t it Earl Slick on lead in 1983 too? Yes, that was Slicky. What I hate about the video of the concert is that it puts his intro in the background. “Bowie’s mind was like a swath of exposed film in a camera whose shutter was stuck open…” Well, I’ve got to say that so far this is probably my favorite song entry on this particular site, in terms of the observations made. I’ve just become a huge fan of this blog. And I believe the song itself is quite miraculous, an exemplar of form and control, especially considering the psychic, emotional and chemical turbulence out of which it was spawned. You could say this about the entire Station To Station album itself, but in particular the title track. Just recently I purchased a copy of a brand new book about David Bowie’s music – yes, another one! – called The Man Who Sold The World: David Bowie And The 1970’s, by Peter Doggett. And the author makes an interesting comparison between Station To Station and Van Der Graaf Generator’s 1970 track Darkness (11/11). He draws a parallel between the howls of wind which open that song with the eerie train effects that signalled the beginning of Bowie’s song. Also, in a footnote on the same page (244), Doggett observes that a missing link between Quicksand and Station To Station, in thematic terms, is provided by Peter Hammill, the frontman of Van Der Graaf Generator, specifically his (In The) Black Room, the closing track from his 1973 solo album Chameleon In The Shadow Of The Night. 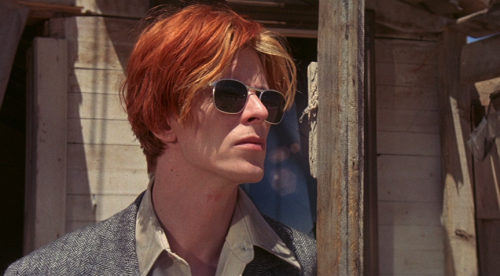 Doggett observes that Bowie had immersed himself in Hammill’s work around 1974, and that the song (In The) Black Room itself is preoccupied with various adventures of the spirit, from the Tarot and religious belief to psychedelic drugs. In fact, I’m actually quite a big fan of Van Der Graaf Generator, as well as Peter Hammill’s ’70s solo work. Stylistically, in terms of songwriting, vocal performance and lyrical/thematic preoccupations, one can certainly draw a many intriguing parallels and comparisons between the two artists’ work from the 1970’s. (In another interesting parallel, King Crimson guitarist Robert Fripp has been a friend and collaborator with both Bowie and Hammill, contributing his distinctive guitar playing to the Van Der Graaf Generator albums H To He, Who Am The Only One (1970) and Pawn Hearts (1971). …..Just recently I purchased a copy of a brand new book about David Bowie’s music – yes, another one! – called The Man Who Sold The World: David Bowie And The 1970′s, by Peter Doggett. And the author makes an interesting comparison between Station To Station and Van Der Graaf Generator’s 1970 track Darkness (11/11). He draws a parallel between the howls of wind which open that song with the eerie train effects that signalled the beginning of Bowie’s song.…..
Good to see Stage getting the acknowledgment it deserves (here and elsewhere). This rubbish about Stage being a poor album is a myth. Contains some of the best versions of some of his best songs. Sure the original track listing is all wrong but that’s been rectified now. Stage rules. I agree, best Bowie reviews/writing ever and I’ve read them all. Wasn’t Earl Slick the lead guitarist for the Serious Moonlight shows in 1983? So by 2004 he was back after two decades rather than three-ish. For me, this record forms the first part of the ‘Berlin Trilogy’; it has far more to do with ‘Low’ and ‘Heroes’ than ‘Lodger’ does. Both sonically and lyrically it prepares us for what was to follow and, of course, Bowie’s LA noir nihilism on ‘StationtoStation’ is the perfect starting point, a Year Zero, if you like, for a journey that will ultimately terminate in a Berlin that offers salvation and redemption. Shame, though, that the handy ‘Berlin Trilogy’ couldn’t apply to this reading of the three records, but Isherwood had first dibs on it anyway! PS Not sure where this leaves ‘Lodger’ but I’ve always looked past it anyway, as ‘Scary Monsters’ dominates the post-70s/pre-80s horizon. PPS For what it’s worth, ‘StationtoStation’ is true genius at work. I believe it to be Bowie’s greatest creation. We shan’t see its like again. Re the ‘stations to stations themselves’, the phrase ‘station to station’ appears in Kubrick’s Dr. Strangelove’, when Captain Mandrake (Peter Sellers) uses it to denote a type of call to the operator in his frantic attempt to call the US president from a pay-phone. Is there a connection? It’s certainly the only time I’ve encountered the phrase outside Bowie’s use of it, though presumably it was common enough in 1960s American telecommunications jargon. It’s interesting, though, the way Mandrake wracks his brain to remember the phrase, losing vital seconds in his bid to prevent nuclear war. Whether Bowie was aware is anyone’s guess, of course. 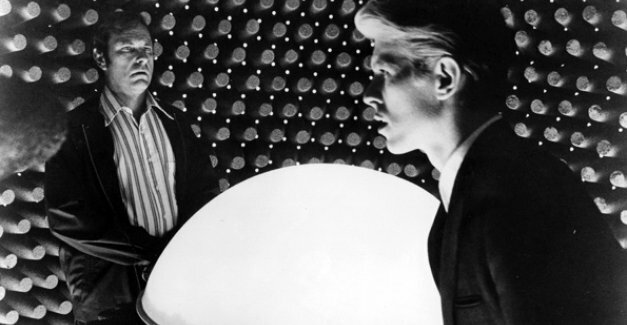 Still, Kubrick had been an influence on both Space Oddity and Ziggy Stardust. CultureJudge, I had heard the phrase in a number of films, the magnificent Dr. Strangelove included, without knowing its meaning. I looked it up after reading your post, and according to wikipedia.com and dictionary.com it’s a long distance call which the caller agrees to pay for regardless of who answers, with charges beginning as soon as the call is answered. The phrase was commonly heard when such calls required operator assistance. I wonder who (if anyone in particular) is the “you” that “drives like a demon from station to station”. The first section’s “Here am I…” and “Here are we…” verse-openers give a feel of the Thin White Duke addressing (serenading) the audience/listeners; kind of narrating really, but the address is ‘general’ – for all the audience members/listeners. (ASIDE) My first interpretation of that line was of a dementedly determined guy (or girl) recklessly speeding across a kind of desert landscape from radio station to radio station! I never sorted out what their purpose was. By the way, I still hold STS as Bowie’s greatest song; Sections 2 and 3 are beyond brilliant (and the contrast set up by the trudging first section can’t be quantified). So, back to the demon-like driver; let’s back up to acknowledge this is the only occurrence in the song of the word ‘station’ and by extension, the song’s title. I’ve read here the assertion that there’s some connection with the “Stations of the Cross”. I don’t detect any connection – unless it could be in that line “You drive like a demon from station to station”. Well, who are some candidates? There’s obviously Jesus, but immediately the “you” is not him. Jesus did not figuratively or literally “drive like a demon” from station to station of the cross – it’s more like he was driven (by those ubiquitous Roman guards, and helped a bit by a guy named Simon). And any demonic-imagery has no resonance with Jesus; it’s like he’s Teflon to that tag – it slides right off. But Jesus’ being driven may be germane indeed. It wouldn’t make sense for the “you” to be, say, an apostle (who were most likely terrified of being rounded up) and the “driving” imagery fails. The women were reportedly there, but the only words we have to work with – “drive like a demon” can’t conceivably apply to them. So, if indeed it’s a fact STS has a reference to the Stations of the Cross, it can only be in that line and the “you” who “drives like a demon from Station to Station” would have to be Satan, who is not onstage in the Gospel renditions, but not acknowledged does not necessarily mean not there. I’m reminded of the scene in the movie “The Last Temptation of Christ”, when Jesus is tempted off of the cross, and a male individual, dressed in native/civilian garb, who seems to be beckoning, or gesturing (or working some magic) at Jesus right before the girl appears. 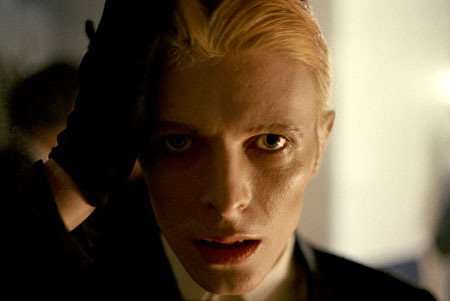 Personally, I don’t think Bowie meant the Angel formerly known as Lucifer in that line. And by extension I don’t perceive any link to the ‘Stations of the Cross’. I would most definitely love to hear/read any explanations that provide some link with them, but they have to be supported by the material – the lyrics. In a 1997 interview Bowie himself says STS is about the stations of the cross amongst other things. I agree its a masterpiece and difficult to decipher, when I first heard it at about 14 I had no idea of the layers of meaning but just loved it. 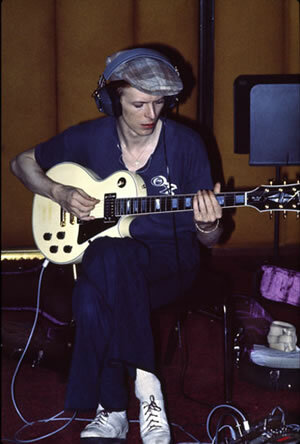 Transcription at Bowiewonderworld website which has loads of old interviews to read. I aways assumed “drive like a demon” meant to drive very fast and recklessly. This is in contrast to following the stations around a church when one is supposed to pause, pray and reflect. The “you” could refer to himself and his flitting from one thing to another. Here’s an alternative decoding of what “Station to Station” means. When one does cocaine, one can hardly wait to do more. “Station” could be code/slang/cant for wherever one breaks out a ‘thin white duke’. Driving like a demon from and toward these stations would be consistent considering the drug in said demon’s system and said demon’s presumed intrinsic want to do more. Though in a sense, the cocaine is driving the “you” to drive like a demon. Drivin’ that train, high on cocaine. And you know that notion just crossed my mind! Finally, the notion that DB et al., or whoever thought of dubbing anywhere they get a chance to do a bit more coke a “station” reminds me also of an interview done with the Grateful Dead around 1981-1982 on the Tom Snyder show, where some band members use the word “civilian” as a general term for a non-member. The correlation being the ‘inside joke’ or more precisely, the use of a word to mean something it doesn’t intrinsically mean. And, who knows, maybe it was more than a hat tip. Perhaps Station to Station’s focus on trains was what inspired Kraftwerk to tackle that theme. If this gets laughs I’ll understand. These things usually do, but I put these photos of Bowie and Conrad Veidt together for another purpose. As Weimar cinema was one of Bowie’s chief interests and influences at the time, is it conceivable that he modeled his appearance after Veidt’s in Paul Leni’s expressionist The Man Who Laughs? I think you’re right on it there. Well spotted! surely surely surely this simple shot was no accident. I thought it was ‘wonderful wonderful wonder when’. I felt he sang it as though there’s an implied ‘but’ in there which fits with that reading, but perhaps that was just my imagination. I’m so glad I found your site. What am amazing read. I always thought the Krautrock influences on STS were overstated, but listening to the first Neu! record, the transition from Sonderangebot to Weissensee sounds remarkably similar to the opening of this song, even down to the drum patter on Weissensee. I recently finished your book and I must say, the very last line about how he went no further was such a powerful way to end it. I initially wondered why you stopped at StS, and while I’m sure it also probably had to do with word count, I now realize how clunky it would have been to try and include Low. They’re worlds away despite being so close together in time. the thing i like about the Stage version is that he gets the words wrong and then has to mime to it on Christiane F.
and nobody seems to mention the Velvets and ‘Train coming round the bend’. or maybe i missed a bit. great blog i need hardly add. BUT it’s a song, and I reckon on first listening the european canon would be the European Cannon. For all the duke knows and abdicates… he’s pretty cocksure. He’s arrived, but none of his prior learnings can explain it. He is beyond the edge of his world. [Takes deep breath] There are truly marvellous moments in this song, (esp. the opening vocal section) but, ultimately, for me, they don’t add up to the meisterwerk that a lot of you are feeling here (plus those poll results!). – I don’t think the sections work as well together as the sections in, say, ‘Blackstar’. It still feels like three bits stuck together to me. – Chris mentioned Belew’s getting too proggy in one performance. Well, for me, the middle section with “rapid chord progression” that Chris talks about in section 7. above is really rather proggy in itself, whoever’s playing. Reminds me of Genesis a bit. So, I like the song quite a lot. I love parts of it. But it’s not one of the very greats for me. the lovers in the beginning could have that as a motto. is a pun w/ seminal connotations but also occult, white being associated w/ Kether, ‘staining’ earthly malkuth with divinity? No; Malkuth is the lowest ‘station’ on the Tree of Life; it represents the physical, material world. Sure, it’s dirty; but it’s the plane upon which our consciousness has the body-as-agent; like “the hand is the cutting edge of the mind”. This is the stage upon which we have the opportunity to manifest our own dreams or nightmares into real life. Leaving Malkuth (only one way – up, though there are three possible next stations, you advance in spiritual endeavors. But everybody has to start at square/station one: Malkuth. Kether is the highest station on the Tree; it’s called the “Crown”, “the Godhead”. Malkuth, the lowest, is called the “Kingdom” (it’s an interesting and informative metaphor; a Crown is itself a symbol of sovereignty while the Kingdom is all that to which the sovereignty pertains. The stations on the tree of life are not arranged linearly, the design has “bridges” or paths connecting each station to at least two others. For example, the two next highest stations, just below Kether (technically, they’re below and each one side, respectively) are Binah and Chokmah and there are paths connecting each to Kether – yea! even to each other. The literal “magical movement” from Kether to Malkuth seems like it means God become incarnate. Huge drop! Think Lucifer plummeting though the Earth’s crust on Michaelmas. By the way there is no path on the Tree of Life connecting Kether (the Crown, the highest station) directly to Malkuth. I admit I’m actually quite the Neophyte (and that title may be grasping too high) about the Kabala and the Sephirot. I invite any/all corrections to my layman’s explanation; though I do feel I helped George there get a feel for how off he was. I devoured most of Crowley’s works a few years back and periodically like a comet come around for more or for reminders. I have a totally unrelated early interpretation I’ll lay out in a separate post. Here is a new audio/video edit of “STS” from previously unseen Super-8 footage of the 1976 tour. It’s cut from a very small amount of film, because that’s all that was available. However, from what is there, there’s a good bit which is actually of Bowie singing “STS.” There are some editing tricks used, including some instrumental visuals which don’t totally sync up with the recording (from Live at Nassau 1976), but it’s still remarkable to see this, the only footage of DB singing this juggernaut from a time when it was still new. I didn’t put it together. Nigel at Nacho’s Video’s channel did. Have a look! I read these blogs in weird orders. I often end reading about songs I think I know completely about at some random point. This was easily one of your best ever posts! Amazing stuff, I learnt a lot! The coda to Blackstar…the single, well heck, the flute sounds like it does on “Mandala” by Stomu Yamash’ta on The Man Who Fell To Earth OST. Lovely post, well worthy of the song it deals with. …it’s so true, and the latter delivery is far better than the former. I also dislike the “Woo-oo-hOO-hoo” harmonies in the outro of the Stage version, they seem out of place. One thing that’s bugged me is that the ’76 Nassau live version has a grandeur to the intro which I think is lacking from any other version (that bit when the synth comes in for the first F to G chord change is MASSIVE), but there’s no train noise, and it goes on for far too long. It may be unrelated (is anything? ), but the chugging intro of STS reminds me of the intro to Rainbow’s ‘Greensleeves’ (play ’em!). Perhaps the influence of long cokey days on the couch with Glenn Hughes?